Abby Beads for charm bracelets and jewellery findings. Star fish charm with clasp. 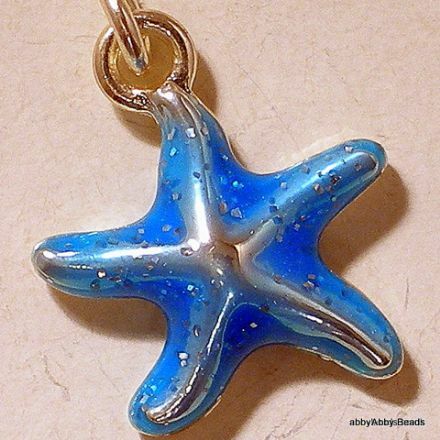 Star fish charm, sea blue with lobster clasp. Cats eye bead 8mm round bronze. 10 Beads. Elasticated charm bracelets with jump rings Silver plated. Locking Magnetic clasp convertor Necklace / Bracelet Clasp Silver Plated. 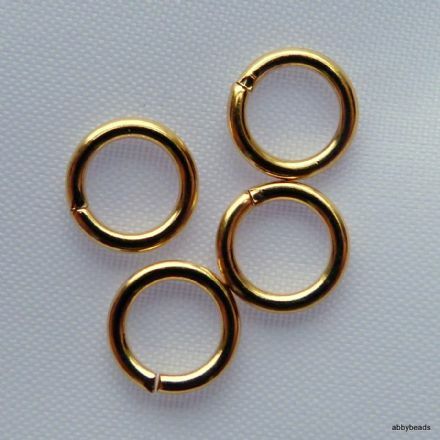 500 Gold plated round jump rings 4.5mm. Nickel compliant and lead free. A self sealing jump ring. 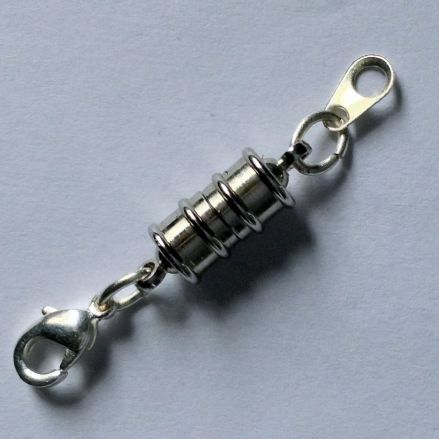 It provides added security when attaching charms or ornaments to necklaces or bracelets. 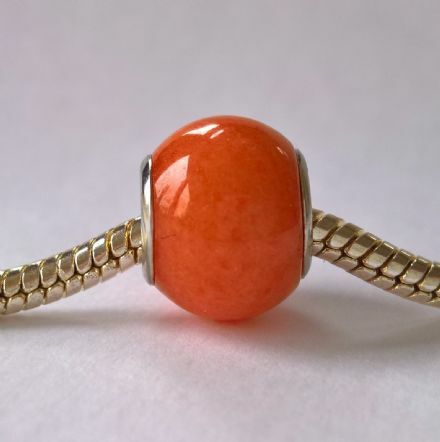 European large hole style glass bead with silver plated core. This is for one bead. Orange mountain jade finish with a lovely texture. Bead size 11mm thick by 14mm diameter by 5mm hole. 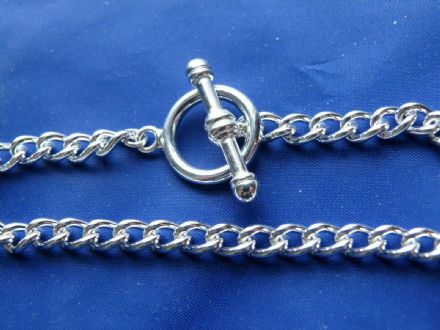 Silver plated bracelet with heavy toggle clasp. Charm bracelets with large toggle clasp.